Thank you US&A ! You could run a tank with that engine !! To answer mileage questions - on a modestly rolling hill type interstate (NOT mountainous), approx 26 - 27mpg for a 2010 ACR, at relatively constant 70mph, with factory wing position, front track part of splitter removed, and stock 3.07 rear gear. That spoiler does improve handling at the expense of top speed and fuel economy. Insane rear spoiler. That's the reason of the Laptime. I wanna see the mpg consumption with that spoiler. The rear wing alone won't do much good other than cause the car to understeer into trees. A lot work when into the overall aero package for the car, as well as the suspension, brakes, and chassis. I just hope this isn't the last ACR. 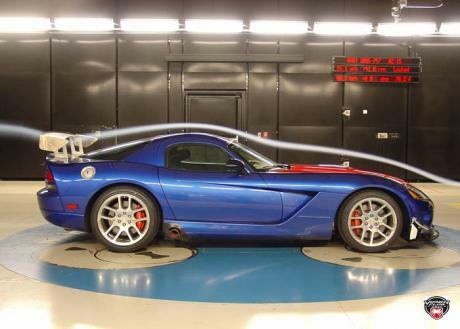 @BR2+ I agree the viper is simply amazing, I could only imagine how many records it would hold if it were tested on more tracks. 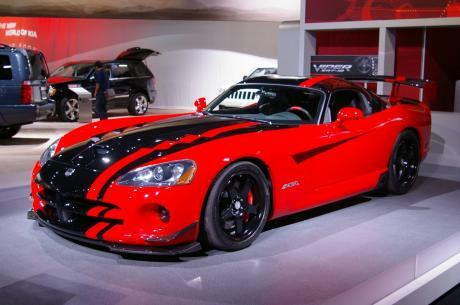 Dodge really outdid themselves with this generation of viper. It doesn't, the ACR holds the Most records. It would hold a lot more if it were tested on European circuits, A damned shame there isn't a SINGLE laptime for it over here. 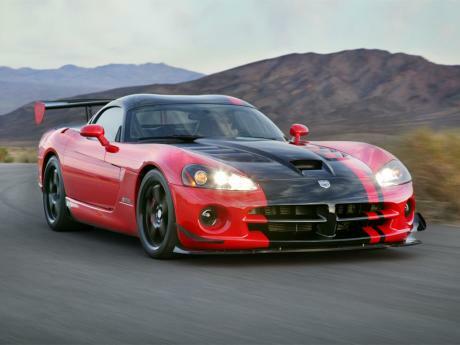 One thing I find interesting and awesome for the ACR, is that its..ONLY 11k MORE then a base Viper! How many cars with top models have a faster version for THAT little?..Are there even any?.. 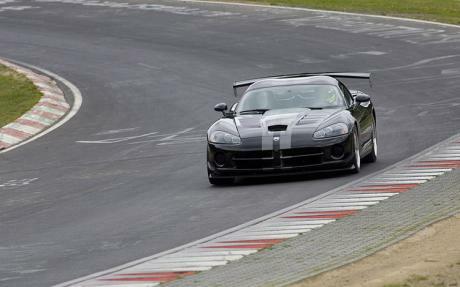 I was looking at the list of tracks and I think the Dodge Viper SRT-10 ACR has the most lap records on this site with 9 lap records still! does anyone know if any other cars have more records? ACR-X wasn't street legal so the 7:03 isn't listed. The Nordschleife laptime for the ACR-X is 7:03! 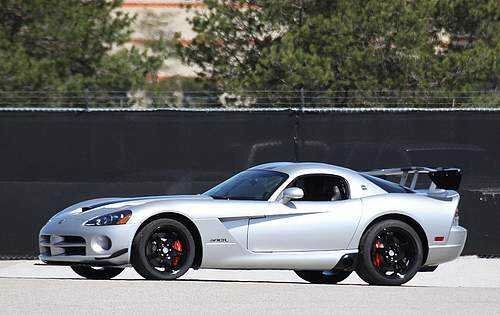 @ aaaa: LOL, they're of the new STR Viper. @Fangio Man yep, ACR stands for American Club Racer. I had to show my SCCA membership before I could order my Neon ACR from the factory. Only 400 1995 Neon ACR coupes were sold because the factory wanted the car to only go to competitors. I used mine in SCCA Solo II competition for 8 years. 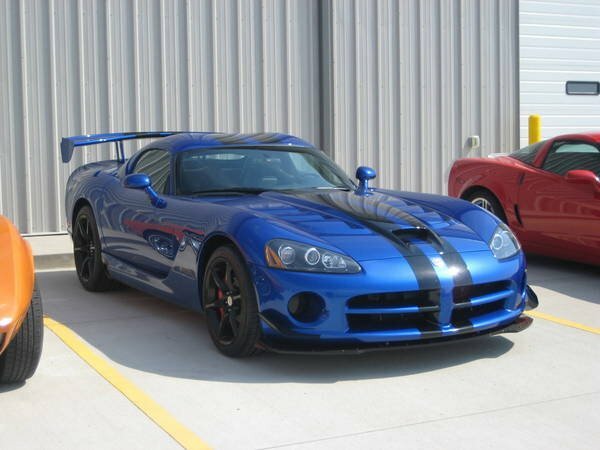 The Viper ACR is the same kind of deal. And there some other pages that should be deleted. Pretty strange you could not find them. 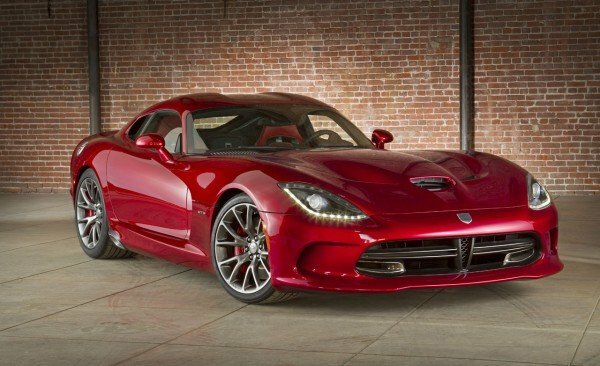 I can't even access the srt viper page, has it been deleted? 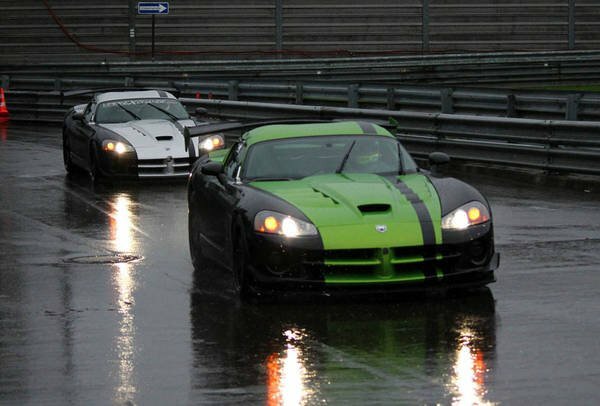 just wondering, is the problem with all the srt vipers laptimes fixed yet? While I never cared for the looks of the viper (always thought the old ones looked like clown shoes) you cannot deny this is a drivers car. The majority of the new generation of drivers couldn't even operate this because it has a clutch pedal. Haters that cant work a clutch are gonna hate. Pos? 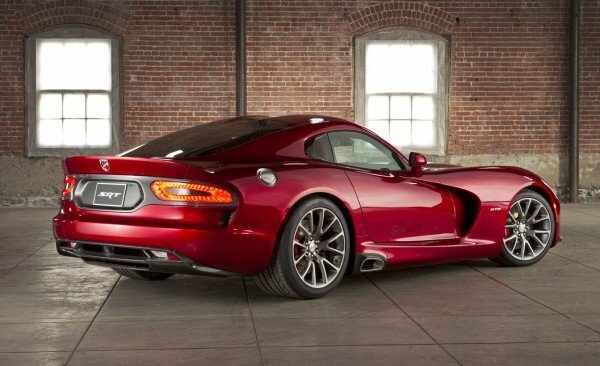 A Viper is one of the best cars ever made, Looks awesome, fun, Fast Affordable(Somewhat-_-) Not hindered by electronic aids, Still has a proper manual, The sound, Its Icon status is one o the best, And jst the pure lok of the thing is Incredible, In every Generation. 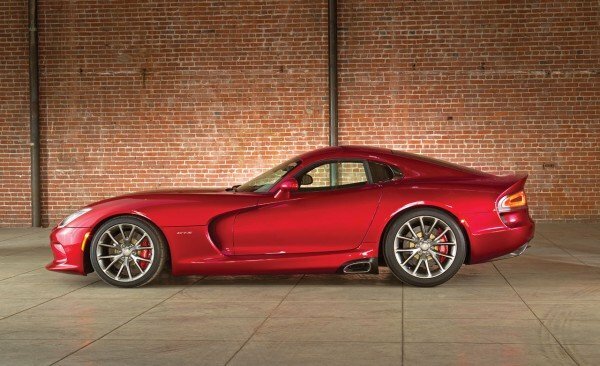 As far as Greatness goes in the Automotive world, IMO the Viper Series rank in the Top 20. Because its obviously not a POS you are just letting your bias blind you. 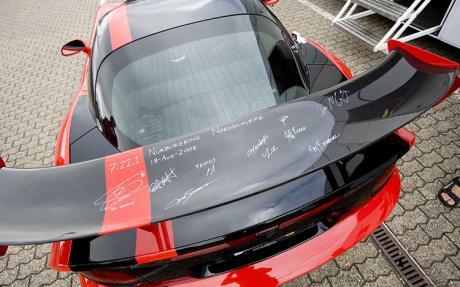 How does this pos lap the nurburgring faster than the Porsche 918, mclaren mp4-12c, and the almighty 458 Italia? I think they just test the car, but the didn't record any laptime. You have to check the Gen V Discussions at VCA. Some reviews are anticipating 2 sec high with a good driver in a 0-60 time. Finally i'm unbanned :D, anyways, I recently read that the 2013 viper was at buttonwillow with car and driver I believe, does anyone know if they managed to pull off a laptime? There's not a different page for the 2010 model.